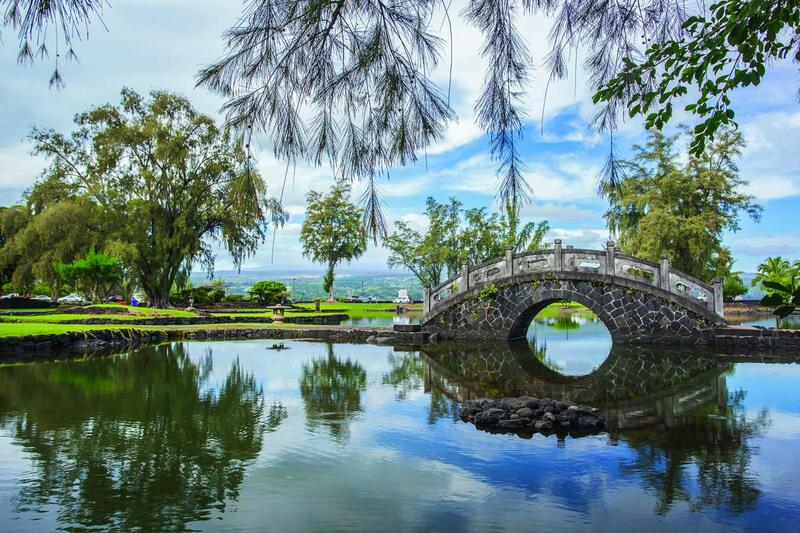 Volcanoes National Park admission is included in the price of this tour. 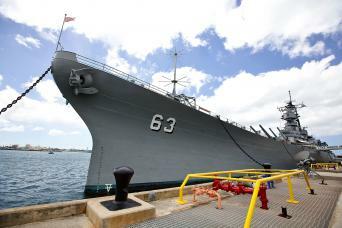 This tour departs from the Hilo side of the Big Island of Hawaii. Wear sturdy, closed-toe shoes as this tour traverses sharp, uneven lava surfaces. 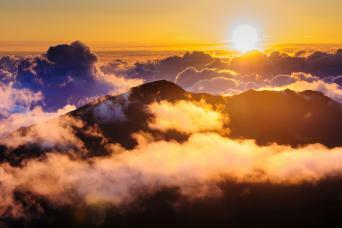 Fumes (volcanic gasses) are hazardous to everyone's health. We discourage visitors with heart or breathing problems and infants, young children, and pregnant women are especially at risk and should avoid being in areas where fumes persist. 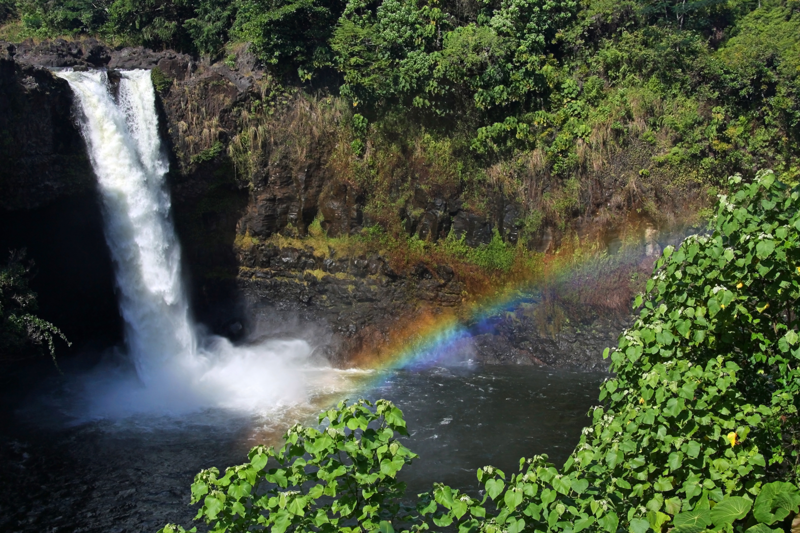 Marvel at Rainbow Falls located at Wailuku River State Park. This 80 foot tall waterfall flows over a natural lava cave into a large freshwater pool below surrounded by dense tropical fauna. 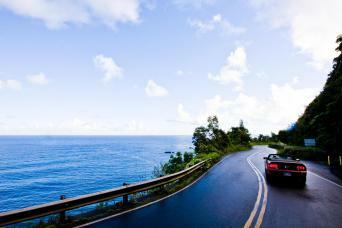 The highlight of this tour is a fully narrated tour at Hawaii Volcanoes National Park. 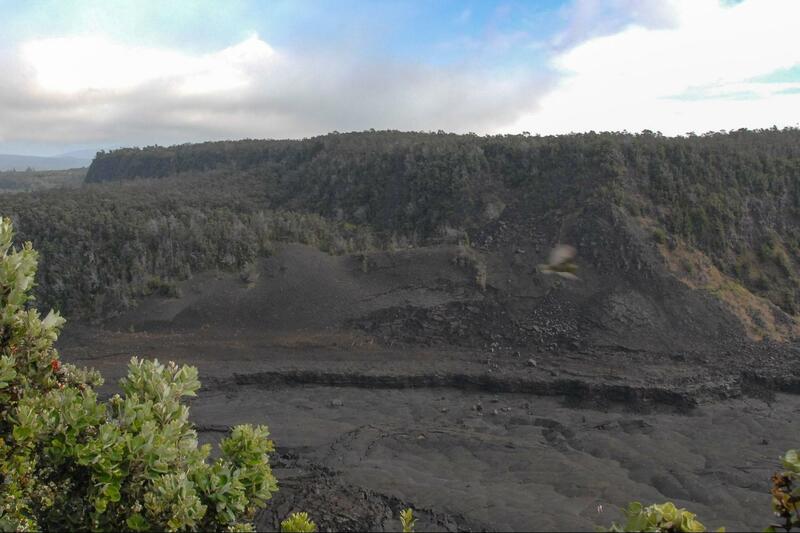 Learn about the fascinating history of the park, see the changes in the landscape from recent volcanic activity in the summer of 2018 and view the Kilauea Iki Crater. After the visit to the Park, drive by beautiful Banyan Tree Drive. The Banyan trees found along this road were planted by celebrities, sports legends and political leaders since 1933. Visit to the world famous Mauna Loa Macadamia Nut or Big Island Candy Factory.